Worldly Goods | Duncans Mills, CA 95430. Camping, Restaurants, Bars, Shops, Antiques, Art, Wine, Recreation. 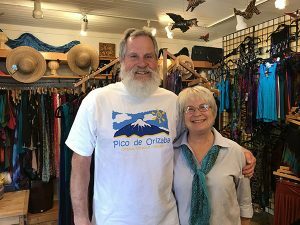 Hammocks, pottery, jewelry, clothing — just a few of the things we offer from around the globe at Worldly Goods. Need a gift? We have silver bangles from Jamaica and cozy sweaters from Peru. Decorating a room or a garden? Ceramic sun faces or reclaimed wood furniture may be just the thing. We have silk bags from Thailand, weavings from Ecuador, and tribal masks from Ghana. We search for goods made through fair labor practices and sustainable use of resources.